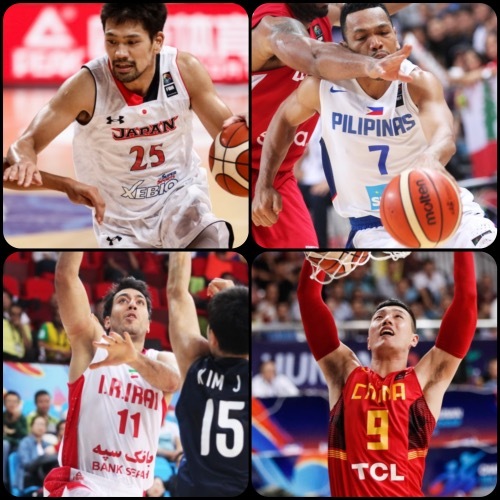 The quarterfinals of the 2015 FIBA Asia Championship began and ended yesterday, and, when the dust settled, only four teams remained in contention for Asia’s lone outright berth to the 2016 Rio Olympics. These are the Philippines, Japan, Iran, and host China. All four have also, at the bare minimum, earned slots to any of the three Olympic Qualifying Tournaments next year should they fail to capture the gold medal here in Changsha-Hunan. 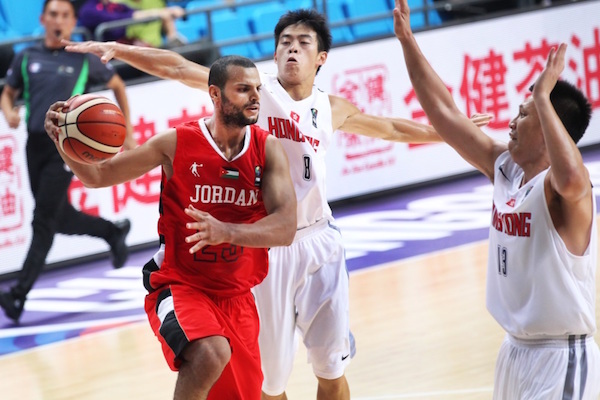 Jordan bucked a slow start to beat Hong Kong in their classification round game yesterday. Jordan waxed hot from long range, hitting 42.4% of their three-pointers while also clamping down on Hong Kong’s shooters. Alex Legion led the way for Jordan with 22 points and 4 triples, while Mahmoud Abdeen dropped 16 markers and Zaid Abbas had a 9-point, 9-rebound outing. Duncan Reid was the lone bright spot for Hong Kong with 14 points and 13 boards. Lee Ki sizes up the defense of Mousa Al-Awadi. Mousa Al-Awadi goes past two Hong Kong defenders. Palestine defeated Kazakhstan in a hard-fought overtime affair in the classification round. 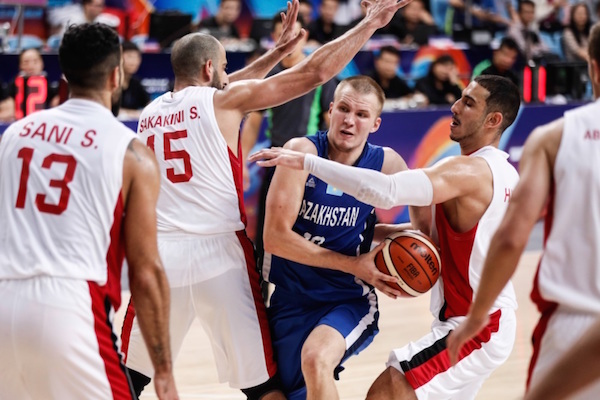 Reminiscent of what they did on day one against the Philippines, the Palestinians rallied in the fourth quarter to force the extra period and frustrate the Kazakhs, who played without top players Anatoliy Kolesnikov and Dmitriy Gavrilov. Sani Sakakini led Palestine with 32 points and 18 rebounds, while Jamal Abu-Shamala added 25 points, 10 boards, and 6 triples. Rustam Yargaliev paced the losing side with 26 points, while Rustam Murzagaliev added 16 markers. Pavel Ilin runs into Palestine's packed defense. Sani Sakakini goes up strong for the inside score. What was billed as a would-be classic turned into a one-sided affair as Iran made short work of Korea to open the Quarter-Final action. Iran didn't waste much time in establishing their superiority in this encounter of traditional Asian heavyweights. Team Melli had built a 15-point lead by the end of the first quarter and never looked back, going up by as many as 23 points. 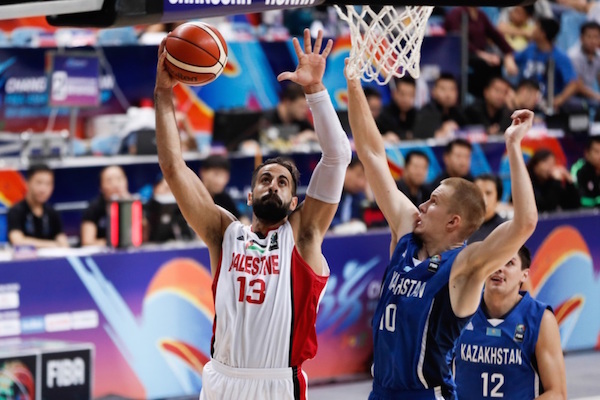 The starting frontline of Hamed Haddadi and Oshin Sahakian did much of the damage for the Iranians, combining for 30 points and 21 rebounds, while starting shooting guard Hamed Afagh added 11 points and hit three three-pointers. On the other end, Korea got 10 points each from Kim Jong-Kyu and Moon Tae-Young. 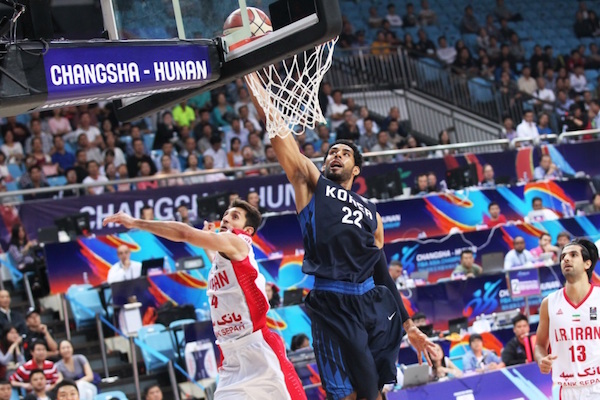 The Koreans sputtered from long range, hitting just two of their 13 attempts from beyond the arc. The usually very efficient Yang Dong-Geun also had a subpar game, finishing with only 6 points, 3 assists and 1 rebound. Moon Tae-Young skies for the easy deuce. Oshin Sahakian challenges Kim Jong-Kyu around the basket. 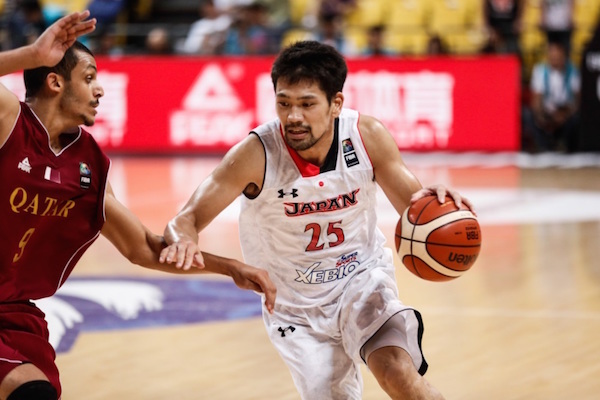 Japan were efficient at both ends of the court in their Quarter-Final win over Qatar. With veterans Yuta Tabuse and Takatoshi Furukawa playing heavy minutes - and, more importantly, weighing in with key contributions - Team Hayabusa led from start to finish in their romp over Al Annabi, which came into this game slight favorites by virtue of their 4-2 win-loss record. Tabuse started the game and played nearly 37 minutes for Japan, scoring a dozen points and handing out 6 assists in a masterful playmaking effort. Furukawa also impressed with a team-high 22 point performance that included four three-pointers, while big man Joji Takeuchi flirted with a double-double, scoring 15 points and grabbing 8 rebounds. Qatar's star player Trey Johnson had a relatively quiet game, finishing with 16 points on 5-of-11 field goal shooting. He also had 3 turnovers. Hassan Mohamed and Mohammed Yousef added 13 and 12 points respectively for the Qataris who just couldn't get much going throughout the contest. Mohammed Yousef pulls up over Joji Takeuchi. Takatoshi Furukawa caught fire for Team Hayabusa. 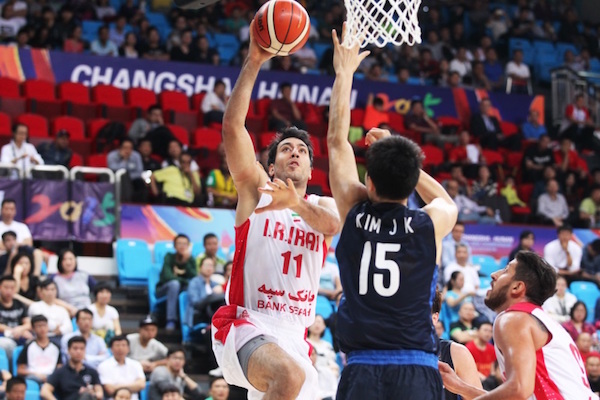 China turned on the style and rolled to a 104-58 triumph over India to set up a Semi-Final showdown with Iran. 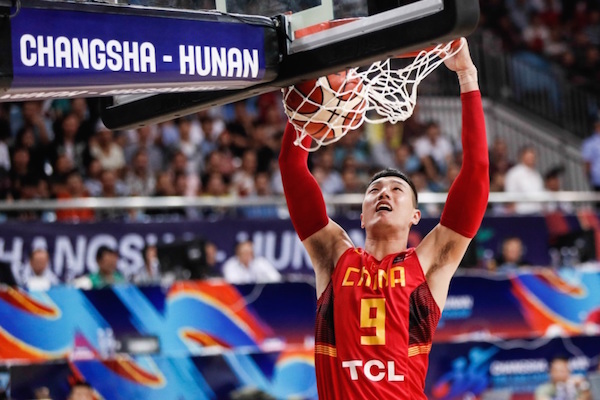 With Yi Jianlian pouring in 18 of his 21 points in the first half, the Chinese made quick work of their opponents and remained undefeated in the tournament. 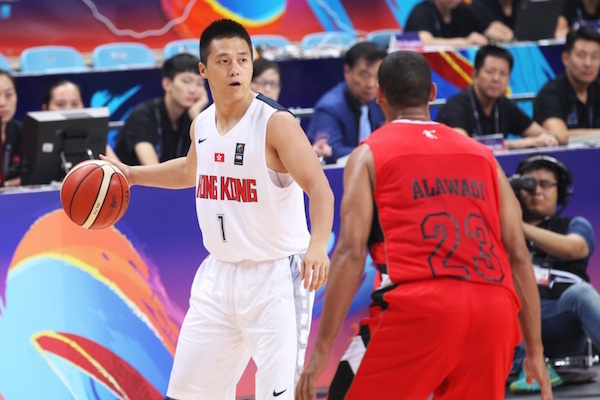 China had many more weapons, including those that came off the bench to contribute 22 points before the break. 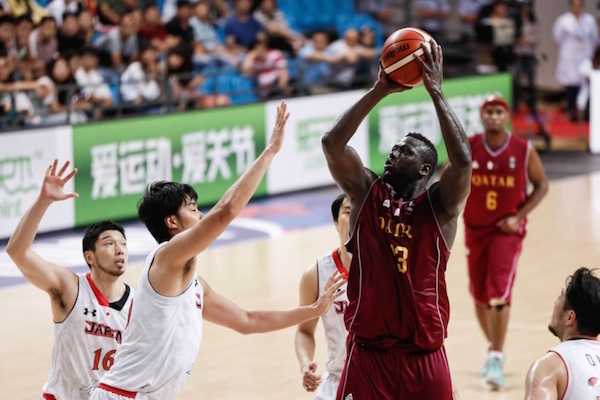 By reaching the last four, China have clinched a spot in one of the three FIBA Olympic Qualifying Tournaments next year but their aim is to win two more games and capture the Asian title to seal a place in the Rio de Janeiro Games. 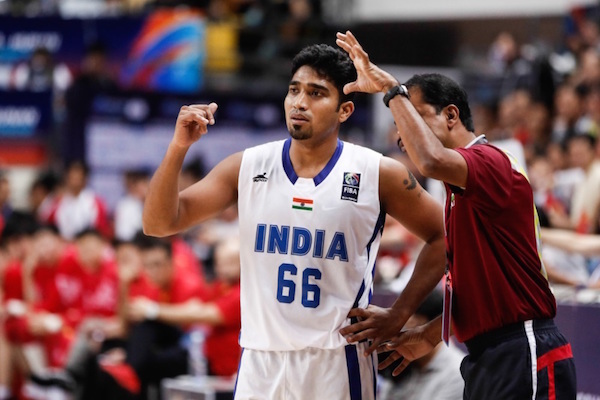 Yi has been a dominant player at the tournament, and he was unstoppable against India, especially in the first two quarters when making seven of his nine shots from the field and all four of his free throws. He had three thunderous dunks in the first half. Yi made a brief appearance early in the second half before sitting out the remainder of the contest. Akilan Pari and the rest of India got a rude welcome from China. Zhai Xiaochuan goes up for an easy two-handed flush for China. The Philippines are just one victory away from an appearance in a second consecutive FIBA Asia Championship Final after fending off a brave challenge from Lebanon. Behind the powerhouse combination of point guard Jayson Castro and big man Andray Blatche, the Filipinos won to set up a Semi-Final with Japan on Friday. 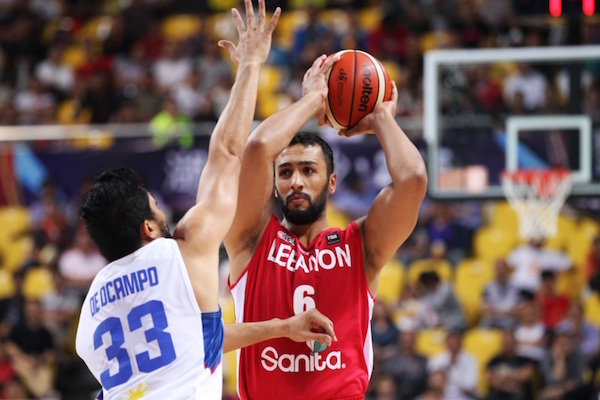 The Lebanese fought bravely from start to finish in the Quarter-Final and despite trailing by 14 points, they managed to cut the deficit to just four midway through the final quarter. 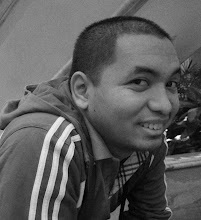 But the Philippines, who lost to Iran in the title game two years ago and then played at last year's FIBA Basketball World Cup, held firm. Castro (25 points) and Blatche (24 points and 17 rebounds) were the Pinoys’ heroes because each provided plenty of points for the winners in both halves and made big plays to keep the Philippines in the lead. Ali Haidar and the Lebanese got the boot after losing to the Philippines. 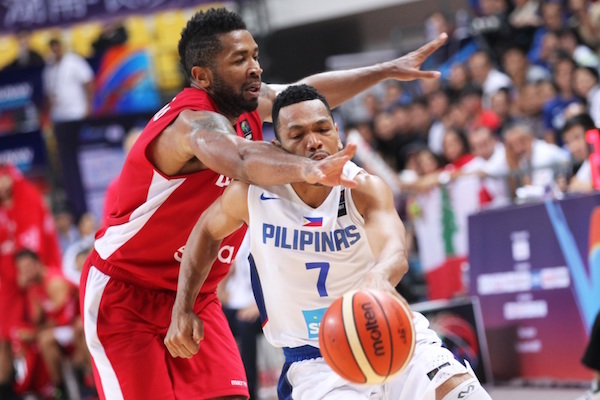 Jayson Castro was virtually unstoppable as Gilas pulled away from Lebanon.